Manucore is where over 60 senior members of the Manucore community gather to debate, share ideas and network. 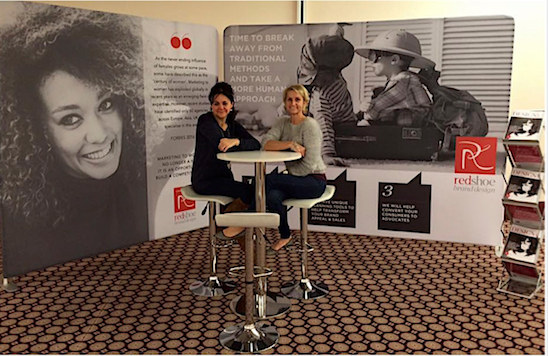 Our Redshoe ladies, both experts in M2W and female-growth-strategy, gave a presentation on how they assimilate deeper consumer insight to create solutions that connect with consumers more effectively, on both an emotional and intuitive basis with brands they buy from. The feedback was fantastic but we learned a lot too! Our thoughts on the matter – There are challenging times ahead for legacy brands and they need to act quickly. Step away from old models and try more innovative and connected approaches. Know the millennial mindset and their visual language, stay ahead of trends in your category, move with the ‘Wellness and Ethical’ shifts in consumerism and remember to disrupt, delight and differentiate! Was the trip worth it? Definitely…and we had time to see a little bit of Prague! ‹ Female Consumers Are Dictating The Pace Of Change.